Precious metals are naturally occurring elements that form in the Earth’s crust and retain high economic value. So what does this mean? It means that these metals are worth a whole lot of money! In the junk car selling industry, many sellers wonder what makes their vehicle more or less valuable than another, and one answer to this questions may be precious metal content. Cars have various parts and constituents that are made from or contain precious metal. So if you have a junk car that you want to get rid of, you can get more money if it still retains these valuable elements. Continue reading to learn which precious metals can be found in a car, and where. Sell Us Your Junk Car Parts! Well known precious metals include gold, silver, platinum, tungsten, zirconium, palladium, rhodium, cerium, manganese, and nickel. And many of these same precious metals can be found in a vehicle. It all depends on where you look. There are two main areas of a vehicle that will likely contain precious metal: circuit boards and the catalytic converter. If a car has an engine and an electrical system, it will surely have circuit boards. Modern circuit boards are designed with gold plated contact “fingers” at their edges where their connectors slide on. This gold is highly valuable to a junk car buyer. Onboard computer systems, such as powertrain control modules (PCM) and engine control units (ECU), contain circuit boards that control antilock brakes (ABS), fuel injection, ignition timing, emission controls, transmission shifting, turbocharger boost, and much more. As of today, the current U.S. market value for GOLD is $1,201.49 per ounce. 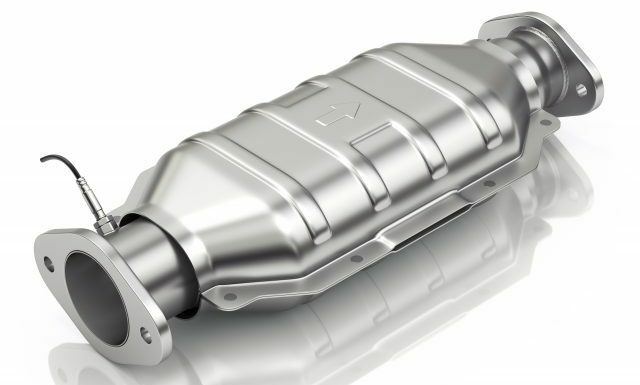 All vehicles (with the exception of propane-powered engines or electric cars) contain a catalytic converter, which also happens to be one of the most valuable automotive parts in a car. That is because catalytic converters are made of several precious metals. Platinum is the primary precious metal in catalytic converters, but they may also contain other alloys mentioned earlier, such as palladium, rhodium, cerium, and manganese. As of today, the current U.S. market value for PLATINUM is $839.50 per ounce. As of today, the current U.S. market value for PALLADIUM is $1,109 per ounce. As of today, the current U.S. market value for RHODIUM is $2,500 per ounce. Call GC’s Junk Cars at 317-608-2188 to sell your old car parts for cash on the spot! We will buy any junk cars and car parts in Central Indiana, regardless of age, make, model, or condition. For those who wish to sell a junk car, we offer free towing with our in-house tow truck, so all you have to do is call and accept our offer! Call 317-608-2188 to request a free estimate, anytime! GC’s Junk Cars pays top-dollar for junk cars in Indianapolis, regardless of make, model, or condition. All you have to do is give us a call at our local office to get started. We will pick up your junk car for free! But that’s not the ONLY reason to choose is as your premiere junk car buyers. 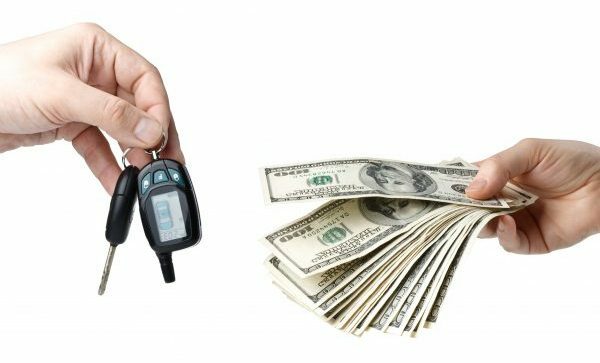 Continue reading to learn why we are top choice for Cash for Cars, right here in Indy! GC’s Junk Cars has been buying junk cars throughout the Central Indiana areas for several years. 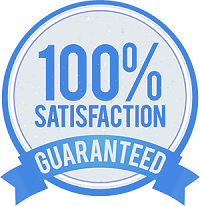 With our knowledge and commitment to unparalleled customer service, we stand by our junk car buying offers 100%. You can feel confident that you are getting top-dollar for your junk car because you are selling directly to a professional scrap yard. There is no middle man, which means there is more cash in your pocket! Furthermore, we pay cash on the spot for any and all junk cars, regardless of age or condition. How do you get started? It’s simple: Just give us a call and tell us about your vehicle, and we will make you an offer right over the phone. If you accept, we will schedule a time to pick up your junk vehicle for free. When we arrive, simply sign over the paper work and take your cash. It’s just that easy! No need to deal with middlemen from national junk car buyers or fly by night guys from online directories like Craigslist. We offer honest prices and stand by our services 100%. Free pickup of your car, truck, or other automobile. We will pay you cash for your vehicle and pick it up for free within 24 hours or less. We will dispose of your vehicle according to all Indiana EPA regulations. You can rest assured that your car will not have a negative impact on our environment. Are you looking for your title but can’t seem to find it? That’s not a problem for us! Our junk car buyers may be able to verify ownership using alternative methods. Call GC’s Junk Cars at 317-608-2188 to get started on your free quote. And remember, we offer free towing with our in-house tow truck, so all you have to do is call and accept our offer. We will schedule a time to pick up your vehicle and pay you cash. Request a free estimate, today! When you have an old, totaled, or broken down vehicle that no longer serves a purpose in your life, you are actually in luck! That is because a junk vehicle, regardless of its condition, is a sitting profit waiting to be sold for cash on the spot to a local junk car buying company. Continue reading to learn what you need to know about selling a junk car for cash in Indianapolis and its surrounding areas, including information about car titles, towing, junk car worth, and more. When it comes to selling a junk car or truck, there is no need to clean it up and make it look good. Junk car buyers accept vehicles in any condition, whether running or not. Age, make, model, color, and condition simply do not matter, so do not waste your time primping up your vehicle before selling it to a junk car company. Instead, you want to make other preparations. First, remove any plates, including bumper plates and license plates. Then, be sure you remove all personal belongings from inside the vehicle, such as clothing, trash, music, books, and any other items that might be in there. In order to sell a junk car for cash, you must be able to prove ownership. Generally, the car title is the best option. However, if the title has been lost or stolen, there is no need to worry; if for some reason you cannot apply for a duplicate or replacement title, there are other ways to prove ownership. Refer to the Bureau of Motor Vehicles to learn how. Also, if your title is lost or destroyed, you will need to apply for a Certificate of Authority. The most important part of selling your junk car for cash is to find a reputable and professional Indianapolis cash for cars company to do business with. The problem you will run into is that there are literally hundreds of junk car buyers in the city to choose from, so making a decision can feel more like a gamble. To avoid getting stuck with an inexperienced, unprofessional, fly-by-the-night junk car buyer, simply find a company that has a strong and steadfast reputation within the local communities. Experience and the types of resources available to them set good companies apart from the scammers. When you really just don’t know who to trust for the best profit in town, simply start with the best. Contact GC’s Junk Cars at 317-608-2188 to request a free, over-the-phone quote, or more information regarding the junk car selling process. Whether your vehicle runs or not, we are ready to make you an excellent offer and take it off your hands for free. We have an in-house tow truck that will come directly to your location to pick up your junk car. Your vehicle’s radiator is very important because it prevents the engine from overheating. Every time you drive your vehicle, your engine produces high levels of heat. Without a properly-functioning radiator, your vehicle’s heat levels cannot be managed, which can lead to serious safety issues and automotive damage. Continue reading to learn more about car radiators, and the common signs that suggest it needs to be repaired. 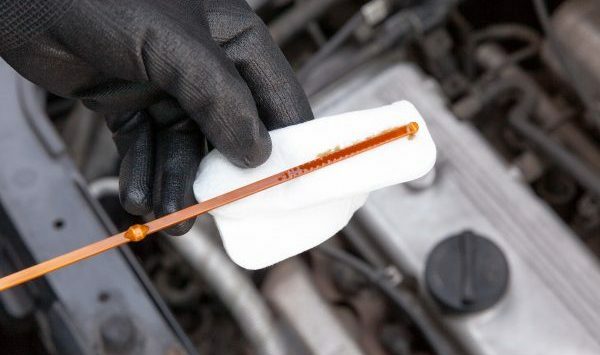 Radiators pump coolant through the inner components of your engine. The coolant absorbs the heat that the engine produces, and then travels back to the radiator where it is rapidly cooled. The entire cycle is continuous and constant while you drive. On a side note, coolant also doubles as anti-freeze, and prevents your engine from freezing up in cold temperatures. Since radiators are the primary component of a vehicle’s cooling system, it is vital for them to remain in good condition. When a radiator begins to have issues, you will usually start to notice the signs. The most common signs include overheating engines, coolant leaks, low coolant levels, and sludge in the radiator. Below is a brief description of each sign and why they occur. Overheating Engine – The most common sign that your radiator is in need of service or repair is an overheating engine. Sometimes, all you need is some more coolant to take care of an overheated engine. But when the overheating persists, it is a sign that your radiator needs attention. Leaking Coolant – The next most common sign that a radiator needs repaired is seeing coolant on the ground beneath your vehicle. 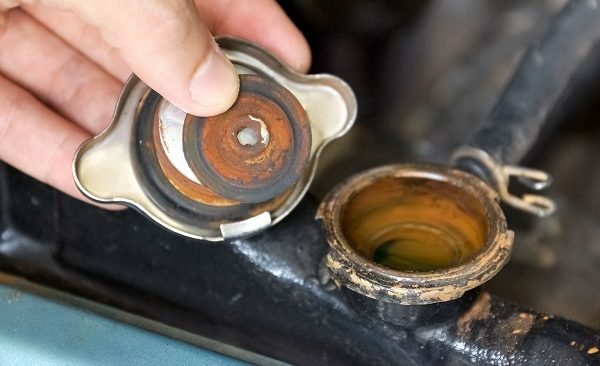 This is usually caused by a leak in your coolant tubes or a crack in the radiator shell, and it is a serious problem that requires immediate attention. Low Coolant Levels – If you notice that you are refilling your car’s coolant too frequently, that means your vehicle is either using too much too quickly, or you have a coolant leak somewhere. Both are serious issues that require immediate automotive repair. Sludge – You probably won’t discover sludge in your radiator on your own. It is more likely that your mechanic will come across it during a routine service appointment or while making unrelated repairs. Sludge in your radiator means there is an excessive amount of contaminants in your coolant. The contaminants will give coolant, normally brightly-colored, to a rusty or oily color. It is commonly caused by a defective transmission cooler inside the radiator. Not all vehicles have this. Need to Replace Your Radiator? We Will Pay You Cash for Your Old One! Call GC’s Junk Cars at 317-608-2188 to sell your junk car parts for cash in Indianapolis, Indiana. We will buy any junk cars and car parts in Central Indiana, regardless of age, make, model, or condition. For those who wish to sell a junk car, we offer free towing with our in-house tow truck, so all you have to do is call and accept our offer! Request a free estimate, anytime! Owning a junk car is a great thing because they are lucrative assets, regardless of age, make, model, or condition. Junk cars can render you a decent profit if you sell it to a local scrap metal buyer. Automotive parts, circuit boards, sheet metal, and more, are all highly sought-after materials in the scrap metal market. Junk cars are great to have because you can sell them for cash, but they are not great to drive. Operating a junked vehicle can pose several dangers to drivers, passengers, pedestrians, and even other cars on the road. Continue reading to learn why you should never drive around in a junk car, and how to sell yours for the highest profit in town. Rust is a common, and imminent, development on old cars. 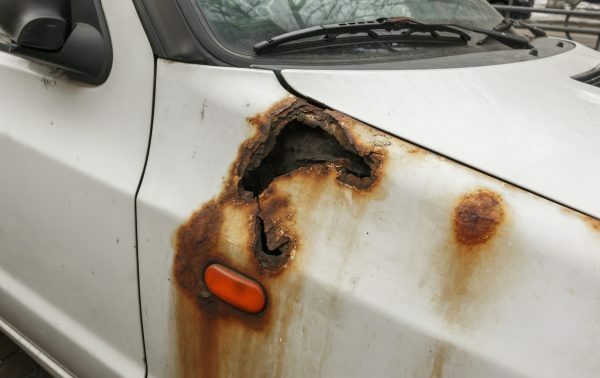 Not only is rust visually unappealing, it negatively impacts the structural integrity of the vehicle, and its moving parts. Safety systems like brakes and cooling, are vital to the safe operation of a vehicle. Rust can weaken or damage critical internal parts of a vehicle, which can cause automotive malfunction, and potentially, serious accidents. Automotive brakes are one of the most important safety features of a vehicle. Arguably, they are the top most important component since they make the vehicle come to a safe stop. Older cars, especially junked ones, are known for poor brake quality. Having unreliable brakes is a very dangerous situation; not only to yourself, but to others as well. If you cannot stop at high speeds, you run the risk of colliding into other structures or vehicles. Even worse, you run the risk of seriously harming yourself or others. Most junk cars are either old or totaled. In vehicles that fit these two descriptions, it is possible for carbon monoxide poisoning to be an issue. After many years of use, a vehicle is prone to rust. When rust corrodes an exhaust system and flooring, it can cause fumes to enter into the interior quarters of the car. What makes this even more dangerous is that carbon monoxide is unnoticeable until it’s close to being too late. 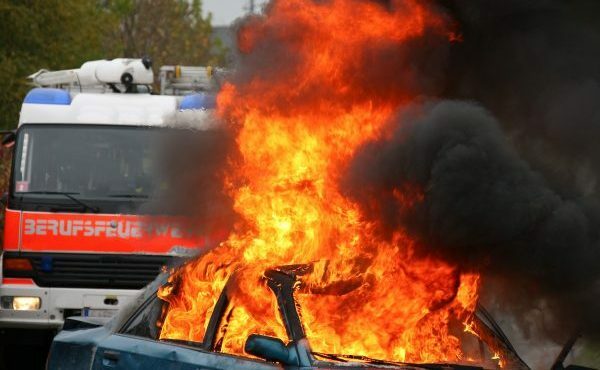 Fire is a likely risk in older, junked vehicles. This is just another reason why they are not safe to drive. A combination of old wiring and old fuel lines can be an easy formula for fires and explosions. In fact, the plastic isolation around wiring is known to corrode over time, which can lead to leaks in the rubber hoses that make up the fuel lines. Another reason why you should never drive around in a junk car is the risk of getting stuck or stranded. Of course, if you are stranded in town, you can easily call for help from friends, family, or a local roadside assistance company. However, if you are on a road trip, or traveling far away from home for something, you do not want your vehicle to break down unexpectedly. This can be dangerous for many reasons, primarily increasing your vulnerability to crime and traffic accidents. We Will Pay You Cash for Your Junk Car! Call GC’s Junk Cars at 317-608-2188 to sell your junk car for cash in Indianapolis. We offer free towing with our in-house tow truck, so all you have to do is call and accept our offer! We will schedule a time to pick up your vehicle and pay you cash. Call 317-608-2188 to request a free estimate, today. Water damage is never a good thing, whether it be a house, a cell phone, or something else of high economic value. When it comes to your car, the same principle applies. 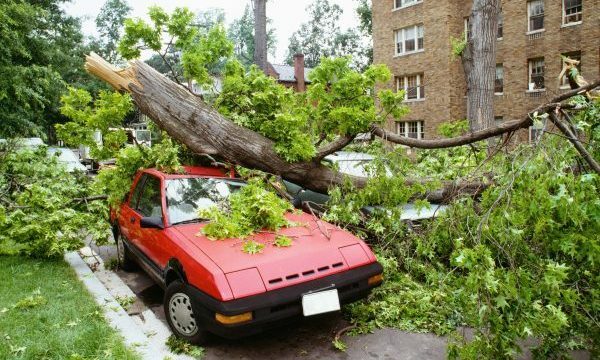 Continue reading to learn more about vehicular water damage, including your options for resale and how to get started. Water damage can greatly affect the resale value of a vehicle, especially if essential components no longer operate properly as a result. The extent of water damage plays a large role in the overall effect it has on value. For instance, if you spill a cup of water on your dashboard, it may cause defects in the built-in navigation system or computer board, which ultimately lowers the vehicle’s value; but if you drive into a pond, the damage can render a car totaled by the insurance company. A car that has been entirely (or mostly) submerged under water is not likely to come back to a safe and operational condition. You see, automotive engines are not designed to withstand water submergence or flooding, with the exception of specialty aquatic vehicles. Flooding the engine will cause irreversible damage to the drivetrain, starter, and much more. Even if you let it dry out before starting it, the damage is already done and it is too late to fix. Furthermore, major automotive parts like motors and catalytic converters are very expensive to replace, which is why most vehicles are labeled as “totaled” by insurance companies when their engine no longer runs. 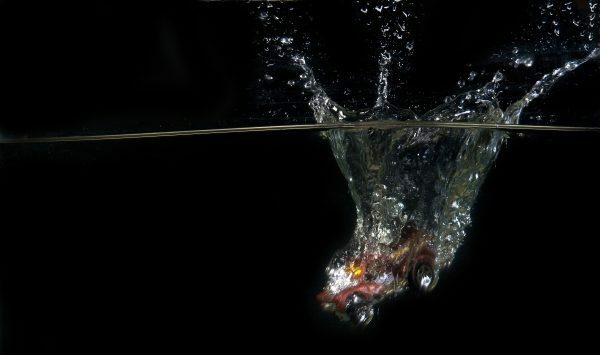 Various other car parts can experience problems from water damage. For example, anything made of metal will rust, which leads to accelerated corrosion. Also, any electrical components will not be repairable after being submerged or damaged by water. In addition to motors, converters, and similar critical car parts, flooding will also cause extensive damage to the interior upholstered components in a vehicle. Anything upholstered with fabric or leather will develop a musty smell as a result of stagnant water and mold growth. It could be resolved with an intensive upholstery cleaning and conditioning, but it is very unlikely that the damage will reverse entirely. You can sell a car that has been flooded or submerged in water under a few conditions. The most important and influential condition is that you are 100% honest. 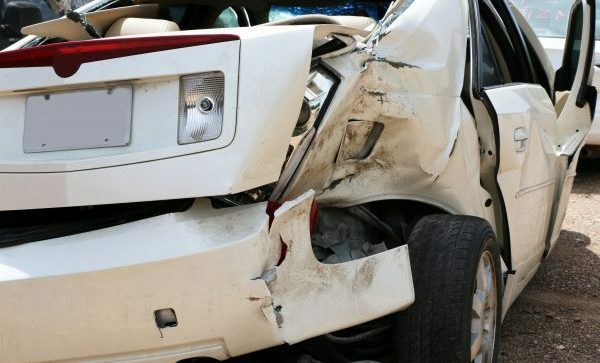 You have to understand that a vehicle that has incurred such damage will likely be considered totaled since the cost to repair it back to industry standards would exceed the cost of the current market value. So as long as you are honest about the extent of damage the vehicle has incurred, you can lawfully sell it without being criminalized for fraud. Just keep in mind that you will not get as much money in return. The other condition has to do with your car insurance company. You need to ensure that the title and paperwork for the vehicle is adjusted correctly to show the water damage and current value. If you alter the car title to make it appear clean, you can faced fraud charges. 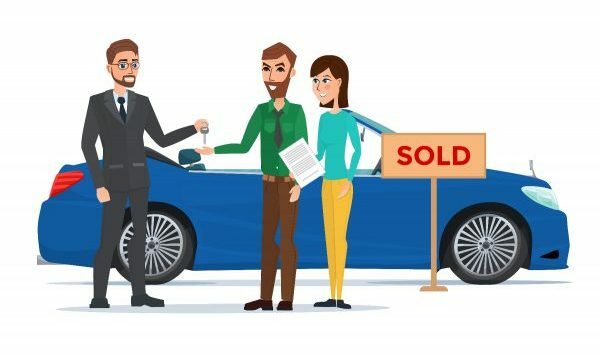 You can sell a water-damaged or totaled car to an individual buyer by listing it for sale in a local ad or directory, but this may not get you the most money. With such damage, it will be difficult to challenge a potential buyer’s offer and negotiations. But if you sell to a professional junk car buyer, you will get a fair deal for the value of your vehicle. They retain specialized equipment like electronic weight scales and XRF metal analyzers that accurately detect the worth of a vehicle. They couple their findings with the current economic values of metal, and then pay out cash on the spot regardless of a vehicle’s age or condition. We Will Pay Cash On the Spot for Your Totaled Car! Call GC’s Junk Cars at 317-608-2188 to sell a totaled car for cash in Indianapolis. We offer free towing with our in-house tow truck, so all you have to do is call and accept our offer! We will schedule a time to pick up your vehicle and pay you cash. Call 317-608-2188 to request a free estimate, today.